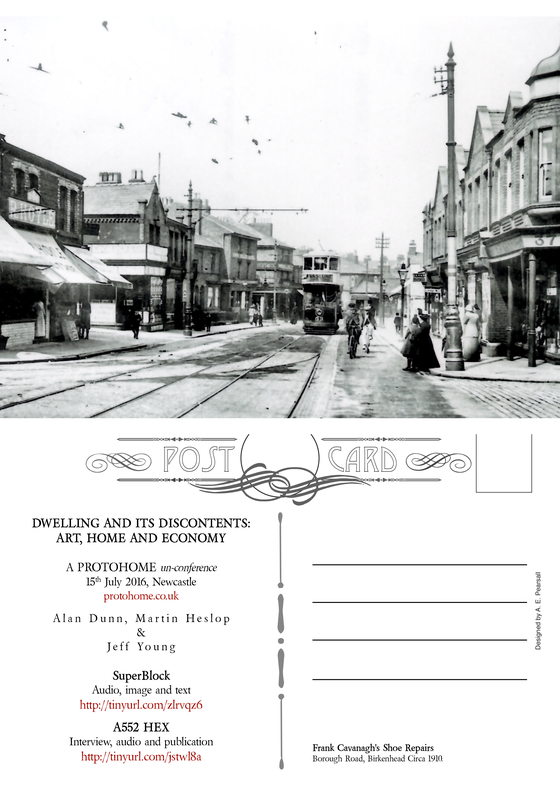 A PROTOHOME un-conference, Newcastle, 15th July 2016. PROTOHOME is a self-build housing project created by members of Crisis, the national charity for single homeless people and open to the public in the Ouseburn, Newcastle upon Tyne. It also hosts a range of provocations and presentations by artists, architects and other creatives. Presentation of SuperBlock by Alan Dunn and Jeff Young and A552 HEX by Young & Heslop with visuals by Dunn. With thanks to Julia Heslop. A552 HEX was originally commissioned as part of Translating the street by Brigitte Jurack with audio and interview here. 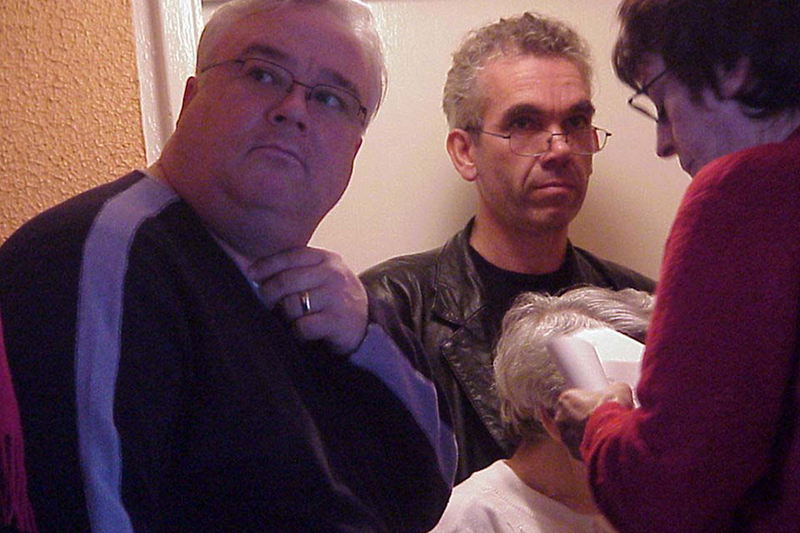 In 2002 the BBC approach us at tenantspin and FACT about creating a radio drama. As a community internet TV project, tenantspin engages primarily elderly high-rise tenants from across the city, in collaboration with Superlfex and Liverpool Housing Action Trust. But what happens if we do not look back, but forward? And not just up, but really up? FACT's Director Eddie Berg and BBC's Kate Rowland like this idea of a futuristic exploration of the city's high-rise culture and approach Jeff Young to work with us. 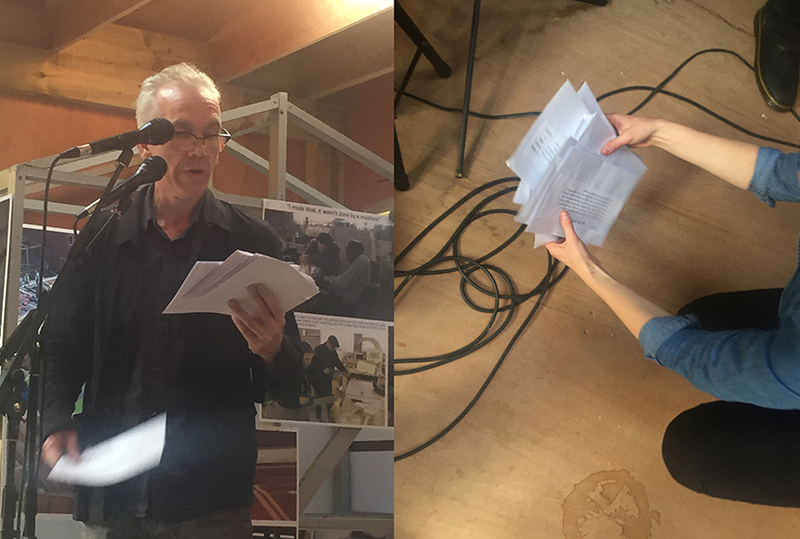 Over the next year we meet with tenants, in their flats and on roofs as Jeff develops the 80-minute script. The premise is simple. In the year 2040, they rebuild all 67 of Liverpool's demolished tower blocks. On top of each other. The architect of the SuperBlock returns to ascend his creation. Any nostalgia is set in the future, hence looking back at our present. 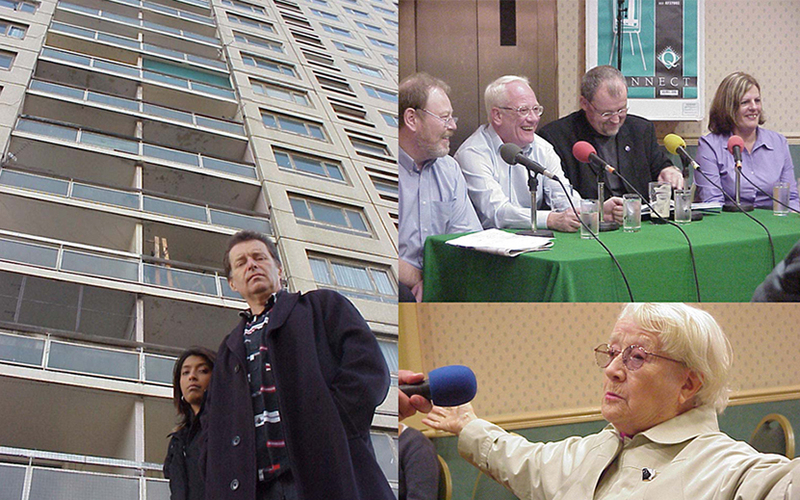 SuperBlock is recorded at Sheil Park in late 2002, with some parts read by tenants Jim Jones and Freda Smith and others by professional actors George Costigan, Sunetra Sarker, Sam Kelly, Jean Heywood, Michael Starke, Mary Cunningham, Emily Aston, William Dixon, Andrew Schofield and Jane Hogarth. Text by Jeff Young, with further input from tenants Josie Crawford, Ronnie Ross and Peggy Appleby. We follow the recording with a fake debate entitled High Rose: good, bad, indifferent on life in the SuperBlock, chaired by BBC Radio Merseyside's Roger Phillips. Paul Simpson/Skyray soundtracks the piece and SuperBlock is broadcast on national BBC Radio 3 in January 2013 and accompanied by a live webcast debate a few months later, listed here. A few years later, Jeff writes this for Ben Parry's Cultural Hijack publication - SuperBlock. Click here for SuperBlock MP3.